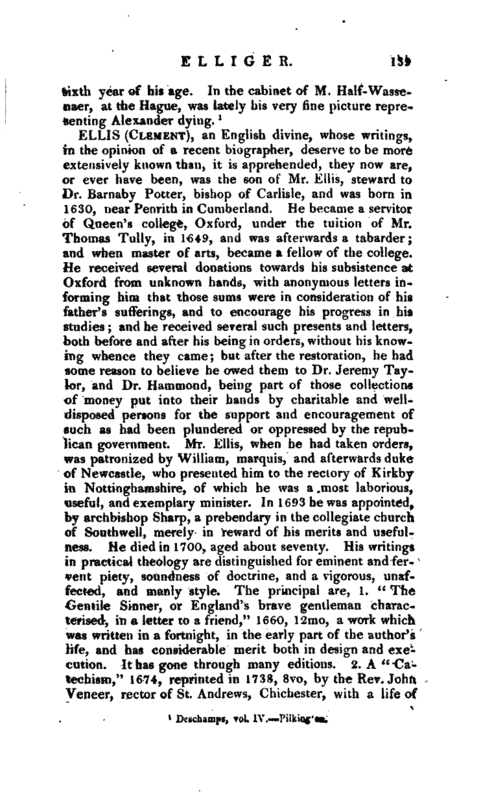 , an English divine, whose writings, in the opinion of a recent biographer, deserve to be more extensively known than, it is apprehended, they now are, or ever have been, was the son of Mr. Ellis, steward to Dr. Barnaby Potter, bishop of Carlisle, and wasjborn in 1630, near Penrith in Cumberland. He became a servitor of Queen’s college, Oxford, under the tuition of Mr. Thomas Tully, in 1649, and was afterwards a tabarder; and when master of arts, became a fellow of the college. Ath. Ox. vol. II. 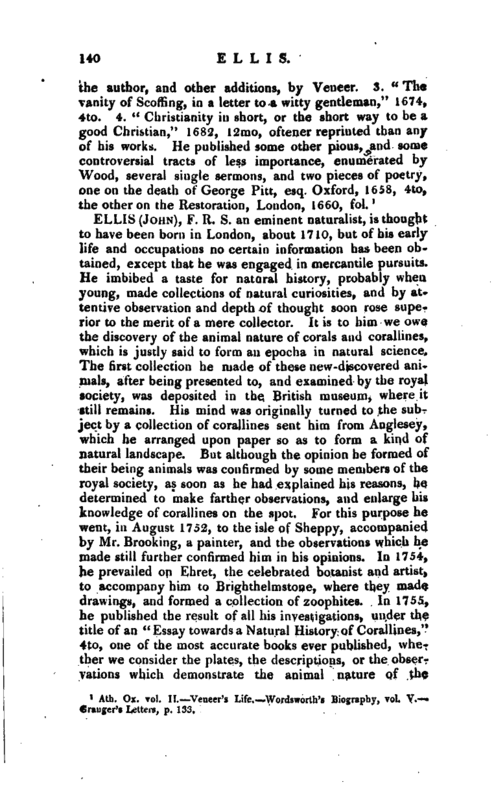 Veneer’s Life Wordsworth’s Biography, vol. V. s, p. 153.